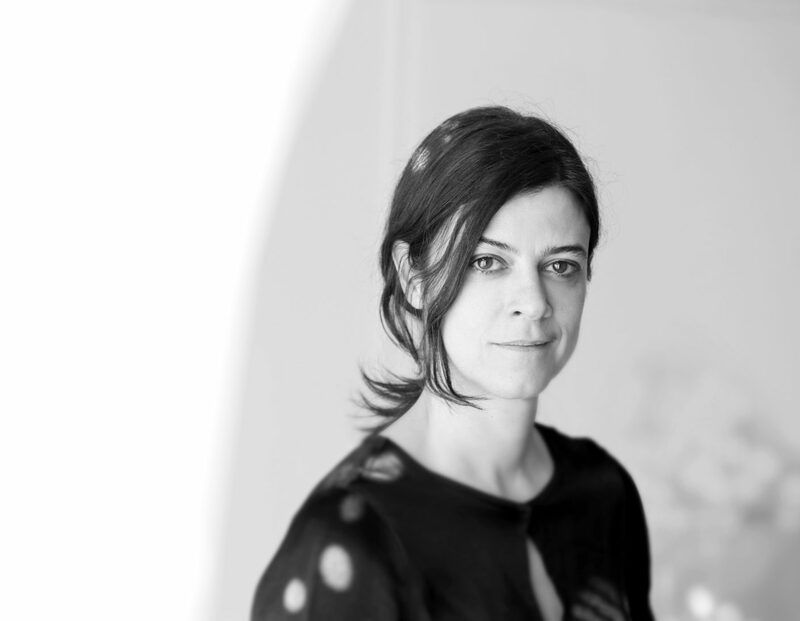 She creates Kinnasand’s unmistakable fabrics and carpets: designer Isa Glink. Isa Glink has been Creative Director of Kinnasand since 2002. She studied at the Royal College of Art in London and the Hamburg University of Applied Sciences. She is responsible for all Kinnasand's creative, both textiles and rugs. She has received numerous national and international prizes for her work. Thomas Edelmann: In recent years there has been a stronger focus on textiles, both in the context of private interior design and in offices and other semi-public domains. Why is that? Isa Glink: We are surrounded by a permanent flow of information and have a need for peace, time to ourselves. Many things around us are becoming less and less tangible, so we try to create our own comfort zone. Tactile and sensory aspects play a major role here. Another factor is that when properly employed, textiles can lend spaces a strong identity. If you try and do that with furniture you soon realize its limitations, because it is more difficult to change. As there is such an incredibly large number of combinations of materials, textures and colors, you can work more individually and flexibly with textiles. And that is no longer only the case for the home, but also for the hotel or the office? Isa Glink: The transitions are fluid. With flexible work hours and places it is becoming increasingly difficult to separate work from the private sphere. Which is why offices are becoming more individual and cozier. And for me that always involves using textiles. There is often talk of trends in design topics. Do you tend to follow longer-term trends? Isa Glink: Our designs are not so trend oriented. Naturally, you keep your eyes open and stay up-to-date with what is happening. But in any case, if you tried to follow a trend that had already emerged it would be too late. We seek to go our own way, and to further expand our DNA. Setting the right pattern: Kinnasand’s Hamburg design studio. 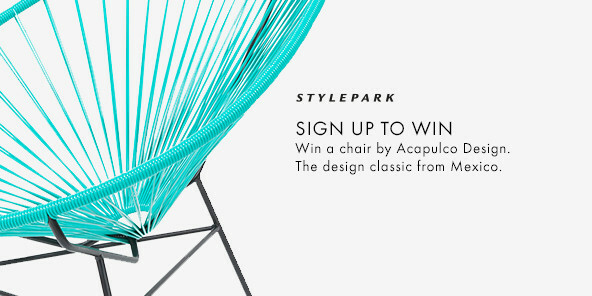 What ideas carry particular weight for your design work? Isa Glink: Our approach is very open and process-oriented. When I begin designing a new collection I have various starting points. Sometimes I begin with the material, other times with a topic or a graphic idea, or a certain technique that is new. Then I take the next step with these individual components. That happens in cooperation with our mainly European producers. We work together to further develop the individual starting points. It’s like a snowball; we begin to develop patterns, and these processes are subsequently optimized. From a certain phase of the development process a common underlying concept develops for the collection, a joint theme. We work on different ideas until we know what direction we’re taking. This method allows us to achieve a certain homogeneity in the entire collection, a language typical of Kinnasand. How long do new items stay in the range? Isa Glink: Currently, the collection comprises some 200 textiles and 18 rug qualities. It is designed to be long term. Our aim is to develop individual designs that go beyond the zeitgeist and retain their meaning. It may be that after a few years we update the colors. The quality is not subject to any trends. But there are also elements in the collection that are intended to make a statement. They might make way for other things after a relatively short time. Otherwise we would exhaust our warehouse capacity. At present our entire culture is strongly oriented on the past. Be it in architecture or furniture, we return to past objects and styles that people are familiar with. Even new things are presented in familiar forms and colors. What constitutes contemporary design for you? Isa Glink: For me that is quite simple: It all begins with curiosity, with enjoying experimentation. When we start we always ask ourselves how something could be done differently. We might not be able to reinvent the wheel with every collection, but for me it’s always about dealing smartly with existing and new technologies, about how you relate them to each other, explore their potential, and bring it into play in order to achieve new solutions. 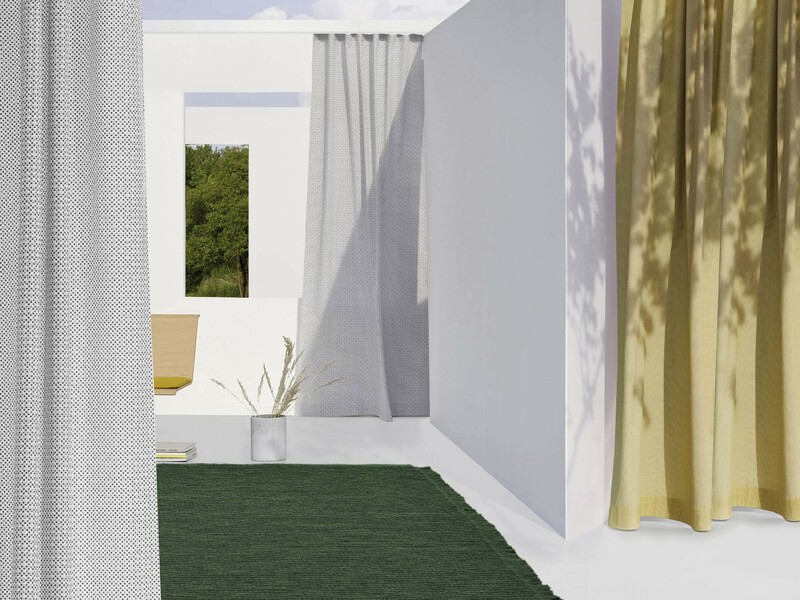 Three ideas from the new “Constructure” collection: the “Moss” carpet, and two curtain fabrics, “CMYKK” and “Halo”. What is the basis for new developments? Isa Glink: Ideally, product development is based on a specific mixture of materials and techniques. For example, you can visually reinterpret classic technologies in order to produce new aesthetic effects. You can work with new yarn blends, which you translate into surprising compositions. Or classic areas of textile production are reinterpreted, say, by printing certain textures that were usually produced using yarn. 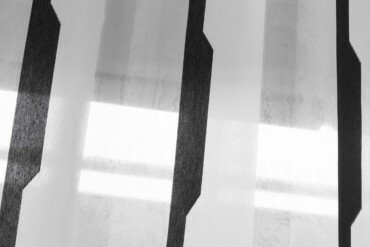 Isa Glink: I find it fascinating to reinterpret familiar ways of working with textiles. 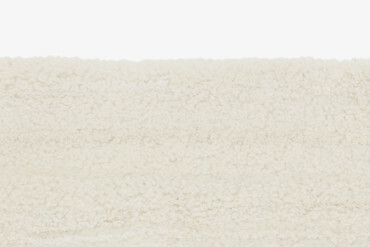 Take chenille yarn, with its sensitive, velvety touch. For “Velvo” from last year's “Zoom” collection we used a relief print with cellulose fibers that produces something very similar to this effect. Simultaneously, it introduces a special twist and produces a totally different aesthetic statement. 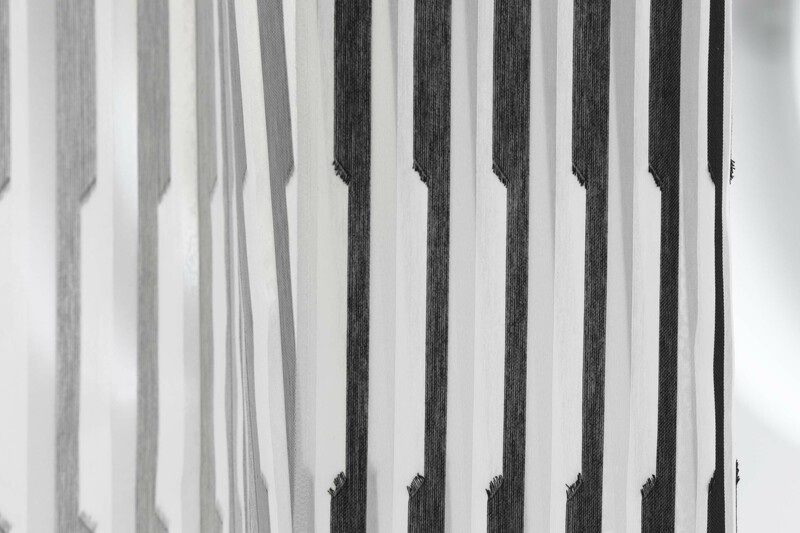 In the new collection “Constructure” we have given the familiar herringbone pattern a new slant. We have extremely inflated it and conceived a certain design that makes it appear transparent and like a watermark. 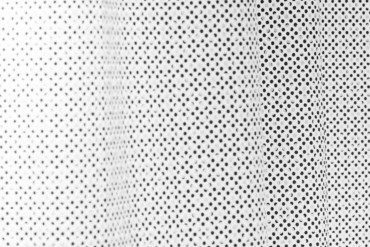 Those who don’t work so intensively with textile design could imagine that the aim is to apply a pattern to a base material. The new collection is called “Constructure”. What does that mean in relation to the design of textiles? Isa Glink: We are not primarily concerned with the purely ornamental aspect. The pattern alone is not the only interesting factor. Certain stimuli appeal to us. 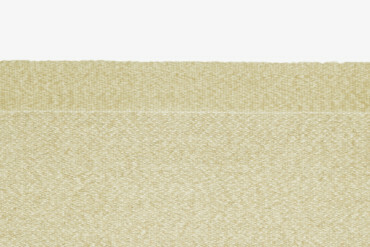 It might be something about the materiality, the special character of linen, wool or cotton. Or blends and contrasts such as matte and shiny surfaces and different degrees of transparency. Colors and graphic aspects equally play a role. That said, our visual language is Nordic in character, not very ornamental. 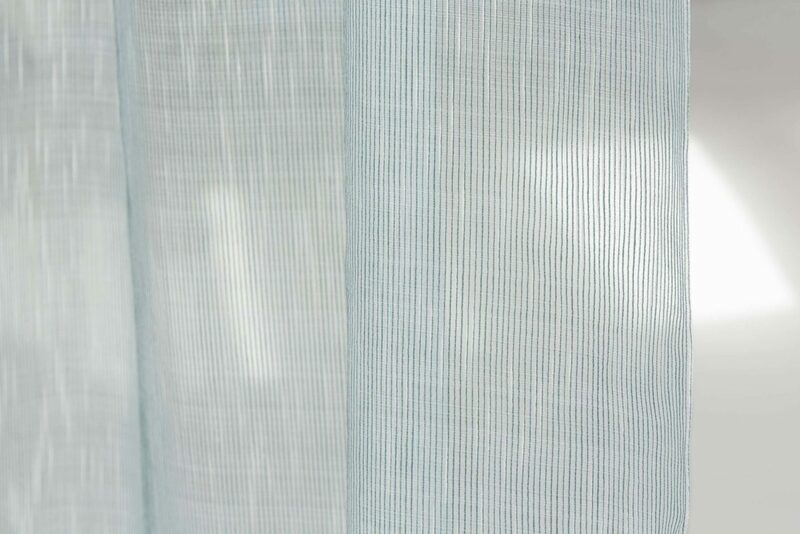 On a small scale: another member of the new “Constructure” collection, the “Small Scale” curtain fabric. To what extent is that connected with the construction? Isa Glink: Every material has an inner architecture. You start with the raw material and the yarns. The construction and structure reveal something about how it was woven, printed or what dying process was used. The next aspect is the treatment. Is the material coated, say, with silver pigments? Does it have a shiny texture, comparable with a reflecting water surface? Or is it extremely soft? These are just a few of the parameters available to us. The idea is to combine them in such a way that in the end a material is produced with a highly individual character, with some surprising detail. A textile that has perhaps not ever existed in this form. What is so typical of Kinnasand about that? Isa Glink: What characterizes our work is our great eye for detail. We try to work with all parameters. The aim is not to produce superficial, loud effects, but rather something harmonious from the individual components. Can you demonstrate that with the current “Constructure” collection? Isa Glink: We place the focus on constructions and textures, less on superficial patterns and more on the inner structures of the fabrics. Ultimately, textiles are also constructed. It is fascinating how many parallels you find in architecture; in our case it is the generic principles of warp and weft from which every woven textile is constructed. A game with transparency and density: the “Flame” pattern. That sounds exciting. Can you illustrate that with a few examples? Isa Glink: For “Flame” we twisted various cotton and wool yarns together. The cotton forms a structure that looks predominately white, a so-called flame. We shot a transparent polyester yarn between them. 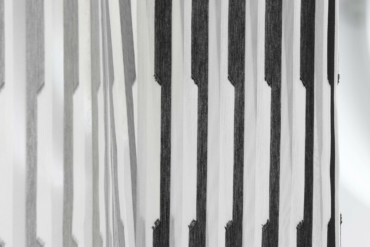 In the warp thread you have a very light sequence of stripes. The term refinement is quite a good description of this eye for detail. For example, the finely woven lines of the basic weave of “Scratch” are embroidered over with a tricolor shot thread and look like hand-drawn hatching. The impression is of a woven drawing suspended in space. Or take “Big Scale”, where the perspective of a space can be experienced both visually and materially. 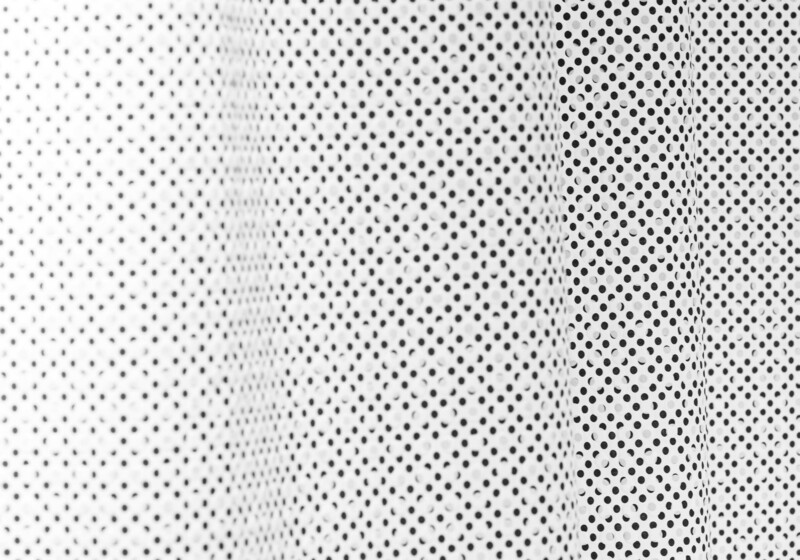 In “CMYKK” two interacting dot rasters of varying sizes and rhythms are printed over each other. The basic colors appear modified by the superimposed, white embossed print. The underlying color pattern is pushed into the background and the result is a complex three-dimensional surface. What role do the rugs play in the “Constructure” collection? Isa Glink: There are three new rug qualities, whose colors are matched 1:1 to the textiles. 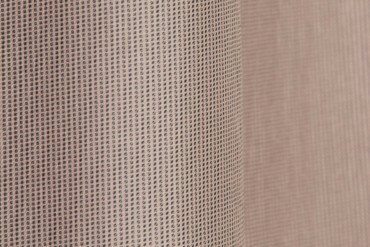 For example, “Moss” unites the purist look of a flatweave with the comfort of a deep- pile hand-knotted rug. 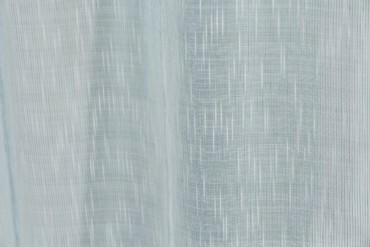 “Cascade” reflects the light in a special way thanks to the different ways wool, silk and linen express hues. By contrast, “Melt” is composed of a blend of five colors and yarns and produces distinct details on the surface. A lot has changed since you became Creative Director of Kinnasand in 2002. In 2004 the textile house moved from Sweden to Westerstede in Lower Saxony. In 2012 Kvadrat bought the firm. What does that mean for your work? Isa Glink: I am delighted the collection is becoming more international and extending its reach. To date, Kinnasand has primarily been a textile house for the retail segment. 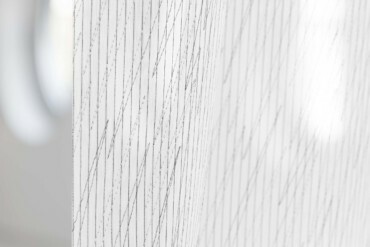 Moreover, with Kvadrat additional synergies have been created in the contract area. Specifically we now work with selected interior designers and architects, say, on the design of high-end residential projects. And in addition of course it has opened up many new options regarding pilot projects and marketing.